The University and the Commission Give the Ministry a Group of Programming Channels belong to the Electronic Gate. 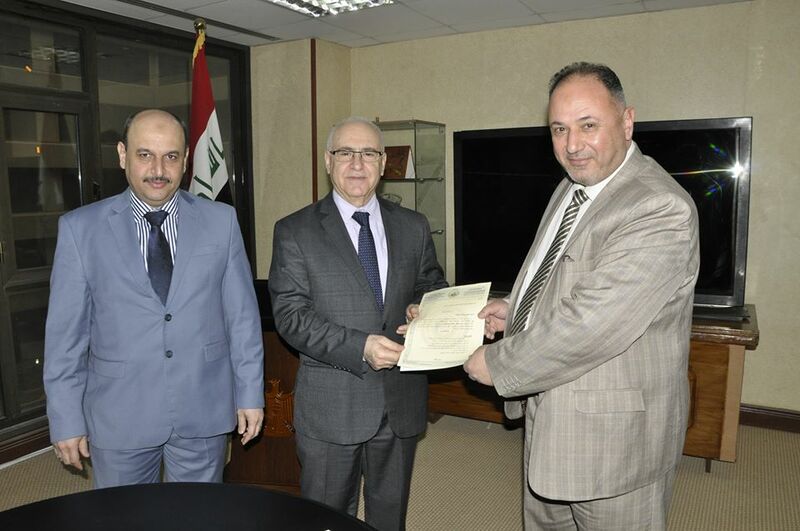 The UOITC and ICCI represented by its president Dr. Abbas M. Al-Bakry signed a document to hand over a set of program channels to the Ministry of Higher Education and Scientific Research \ Department of studies and planning and follow-up. This came after a meeting between the president of University and Commission the Prof. Dr. Abbas M. al-Bakry, Vice-Minister of the Ministry of Higher Education and Scientific Research for Scientific Research Dr. Fuad Q. Mohammed, the Director of the Department of Studies and Planning and Follow-up, the Dr. Suhail N. Abdullah, the General Director of Central Admission and the technical team for these channels. The document included giving the source code and DBs of the Department of Studies and Planning and Follow-up for the following channels; the channel of the first graduates of the institutes, the channel of acceptance of distinguished employees, the channel of authorized teachers to study, the channel of amending the nomination of whom centrally accepted in the previous academic year, and the channel of accepting students of the previous year graduates that they did not have a central acceptance, and the submission and admission to the colleges that belong the two Waqfs. The Vice-Minister for Scientific Research and the Director General of the Department of Studies, Planning and Follow-up praised the efforts exerted to achieve this important stage. 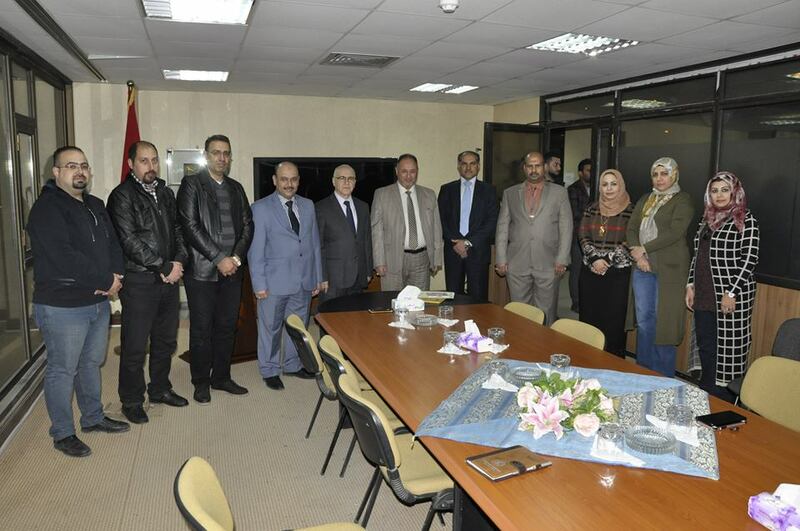 From his side, the President of the University and the Commission expressed the readiness of the University and the Commission to fully support the Department of Studies and Planning as well as the rest of the ministry departments and its universities till reaching to the goal of the ministry in implementing the Electronic governance.